Jane Eppel was born in Cape Town in 1979. Majoring in printmaking, in 2001 she received a B.A. in Fine Art from the Michaelis School of Art, UCT. Jane Eppel has had two acclaimed solo exhibitions of her paintings, the first at the Irma Stern Museum in 2006 and the second, 'Sanctum' at Bell Roberts Gallery in 2008. Since 2010 Jane has been exploring intaglio etching as a medium. 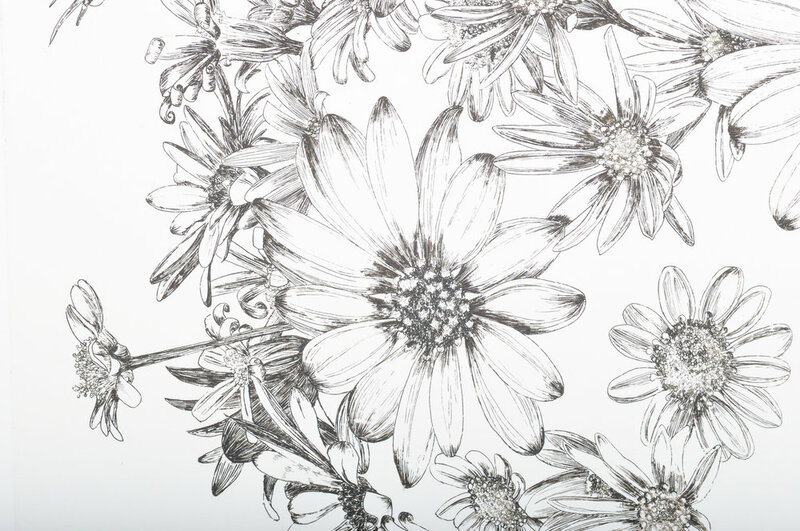 Her third solo show, 'Jane Eppel: Recent Prints' was held at the South African Print Gallery in 2011. In August 2012 Jane launched her 'Alphabet of Fynbos' etching series, also at the South African Print Gallery, Cape Town. In addition to solos, Jane has participated in many group shows throughout South Africa, and has also shown her work in New York, alongside the work of her husband, artist Nic Bladen. After a three year hiatus from art-making owing to the birth of two children, Jane has returned to print-making, albeit at a very slow pace. A fourth solo exhibition, of etchings, is planned for late 2017. TRACE, a joint show with Cathy Abrahams at In Toto Gallery, Johannesburg. Art on Paper' group show at Kalk Bay Modern Gallery.